Next in the “No Fasting No Feasting” Diet Plan series, is this healthy Bhel that makes up for those hungry times in between meals. This is almost no oil in this healthy snack as I used just about 1/2 tsp of Olive oil. Surprise part of this Bhel is the fact that my kids loved this so much that, there wasn’t much left for the adults at home. Couple of days back when I was talking to my dietitian, she said she made this healthy Bhel. I wanted to try it right away but came around doing it this morning. She made with regular wheat, and was not sure if Samba Godhuma will behave the same way. I still have the most of the packet left, after making the Godhuma Halwa. I was planning to make the halwa again, but another alternate healthy recipe surely appeals more. 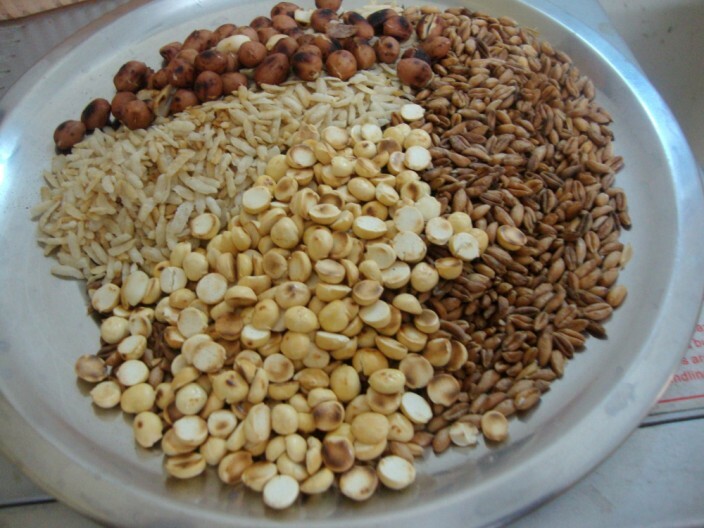 Other than the wheatgrain, rest of the ingredients are readily available in your pantry. You can just about improvise on this recipe and add whatever you want, just use your imagination. This is suitable for Diabetics, you need not add peanuts to make sure it fits well. Heat a kadai, when it’s hot add the wheat, keep tossing around. 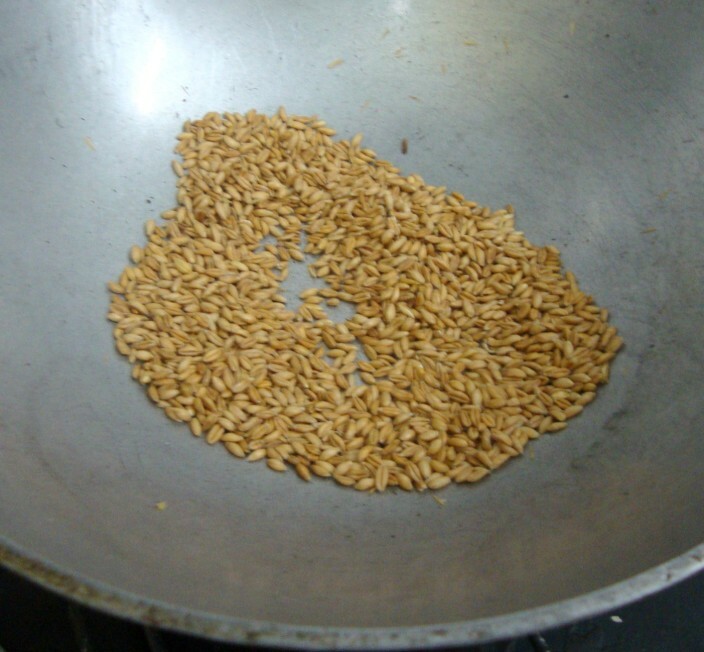 The thin hard wheat will expand or get bloated when it’s cooked. Keep stirring for couple of minutes, remove to a plate. 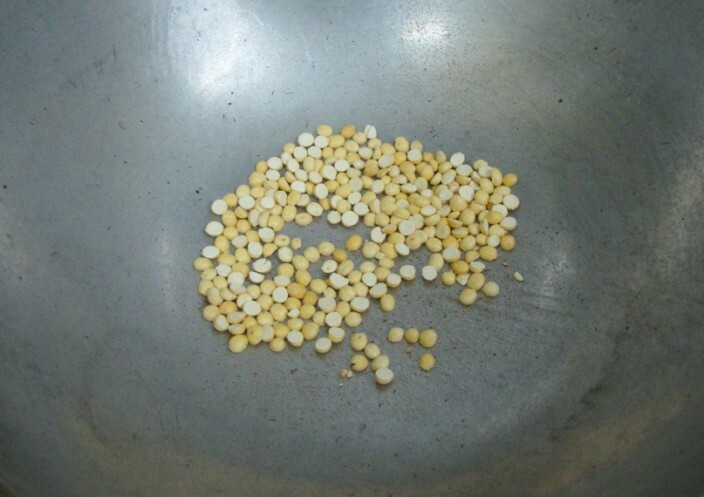 Use the thick poha, next add the poha to the hot pan, keep stirring again. 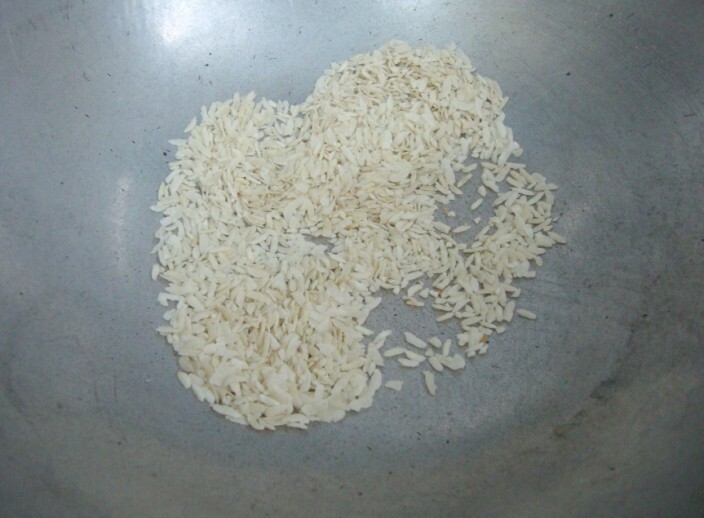 Cook for couple of minutes until the poha is lightly browned. Remove to the plate. 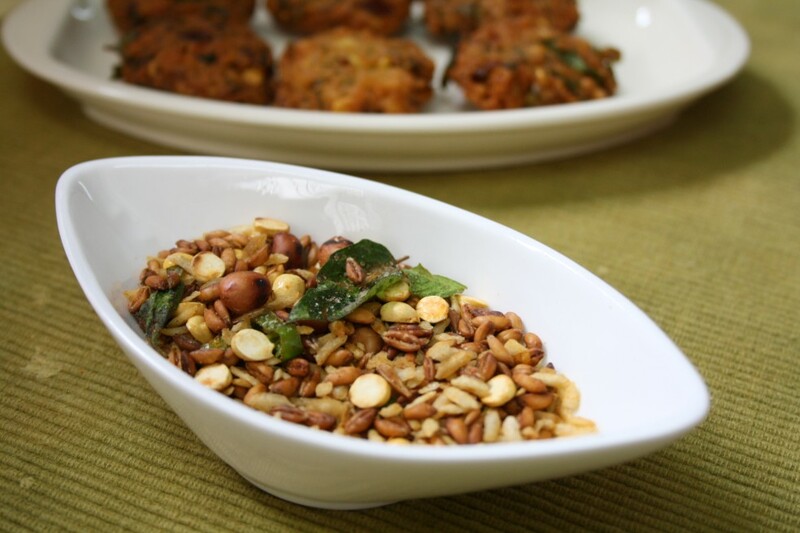 Then in the same pan, slightly toss the roasted channa dal, followed by roasted peanuts. Remove to the plate. 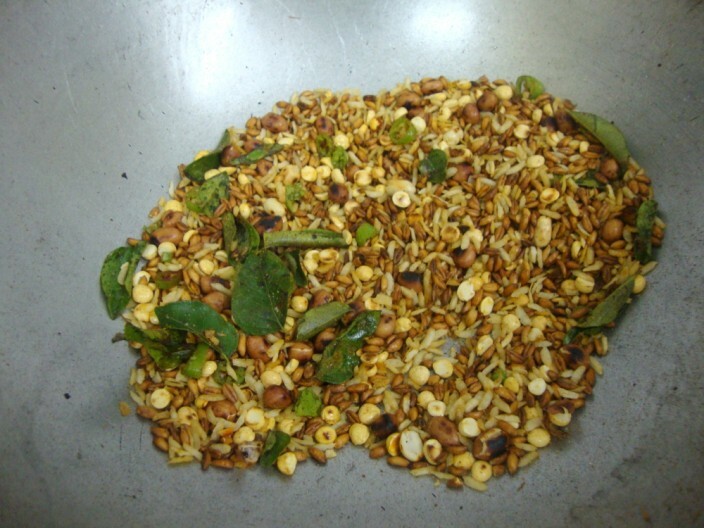 In the same pan, add olive oil, finely chopped green chilies, red chili powder, curry leaves. 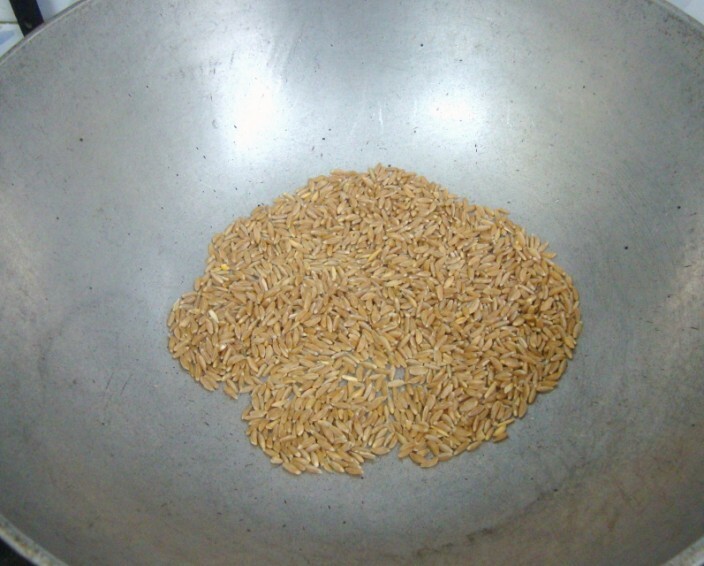 Toss well, then added the cooked grains. 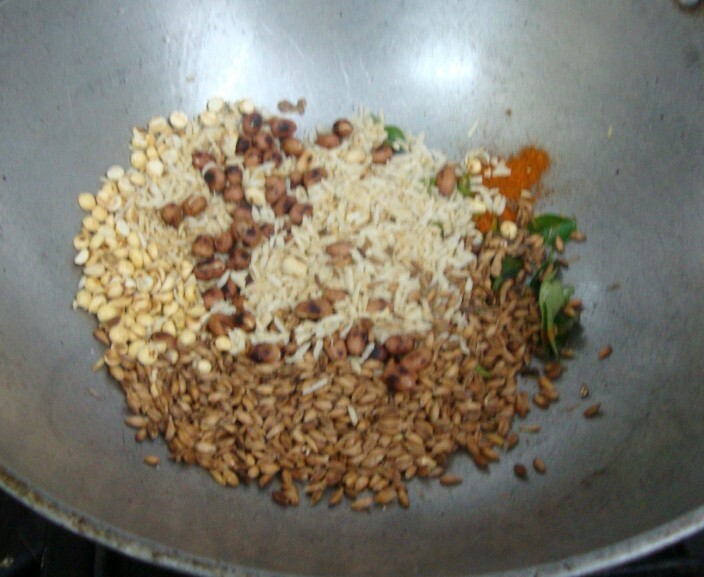 Toss everything well so that the spice powder gets mixed well with the grains. 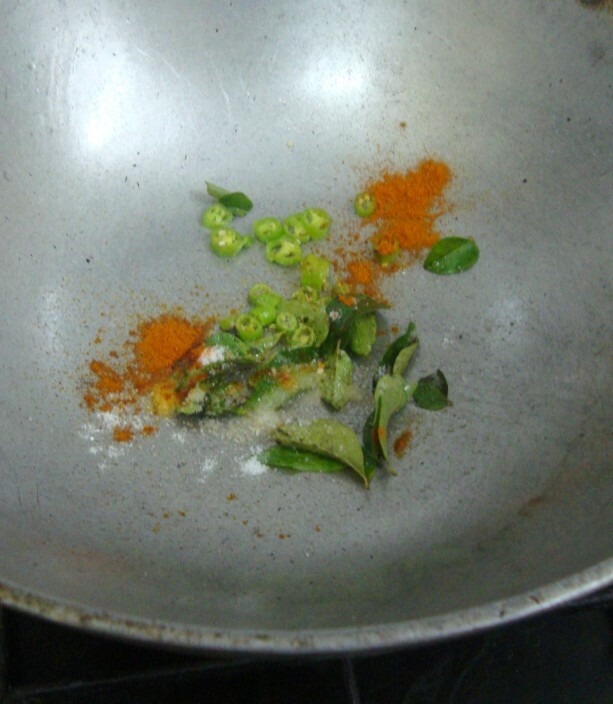 Notes: For the kids, remove the green chilies, curry leaves and serve. This makes a healthy bhel that you can snack anytime you feel hungry. 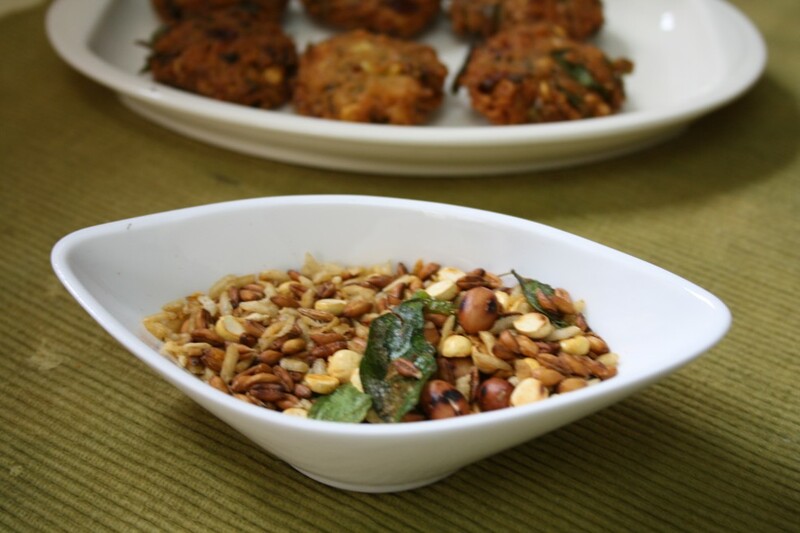 Sending this for Kid’s Delight Party as this makes a wonderful starter, which is also healthy. Good to know the wheat grains can be used this way…Thanks for sharing. Me too have some grains leftover. Delicious recipe.Even I shall try with wheat since it is very healthy!!!!! Very healthy recipe.. looks perfect !! This indeed looks healthy! A very detailed step-by-step post!